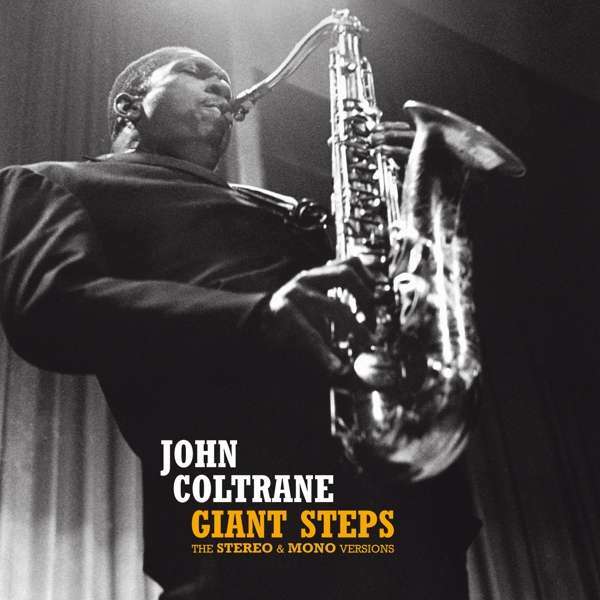 Der Artikel John Coltrane (1926-1967): Giant Steps: The Stereo & Mono Versions (Limited-Edition) wurde in den Warenkorb gelegt. Zum ersten Mal in einem Set erhältlich! 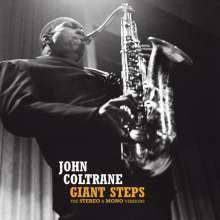 Der Album-Klassiker: Giant Steps, sowohl in der Stereo- als auch Mono-Version. Umfangreiches 20-seitiges Booklet mit seltenen Fotos und den originalen und neuen Liner Notes. One of Coltrane’s best albums, it contains his ﬁrst versions of such outstanding tunes as »Naima«, »Mr. P. C.« and the title tune. In the late 1950s, it was common for big labels to record performances simultaneously in Mono and Stereo, and then release both versions at the same time, with different reference numbers. This was explained at the time by the fact that Stereo was still a very recent innovation, and not everyone had sound systems capable of reproducing the new technology. The Stereo albums were slightly more expensive than their Mono counterparts. Over time, the Mono versions were condemned to oblivion, and only recently some music fans began to value these long forgotten masters, which capture classic performances from a different aural point of view. Hörprobe Track 7: Mr. P.C. Hörprobe Track 14: Mr. P.C.